Why don't they make things easy for us? I've heard a lot of good things about Winamp and wanted to try out some of the interesting music library information features. 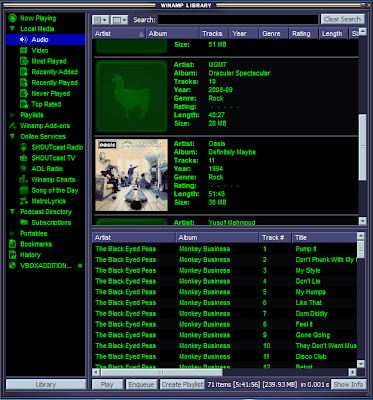 I decided to transfer a small iTunes music library into Winamp to give it a go. I had already set up an iTunes Store account and so some of the album art had been found and displayed. 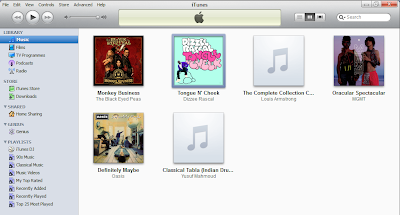 Unfortunately this didn't include music not in the iTunes store, such as my rarer albums. 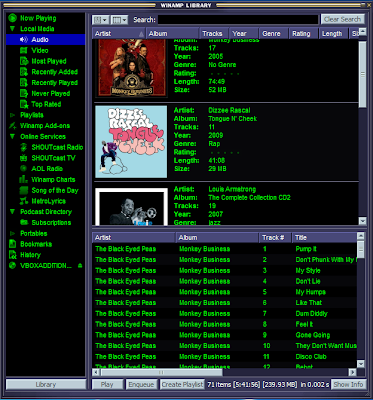 I decided to see if Winamp would use my existing art and maybe even fill in the blanks. 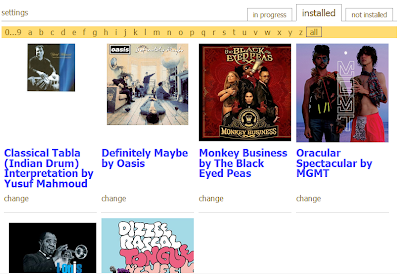 So now it was time to install Winamp and take a look. I installed it, started it up and fantastic! It recognised I had an iTunes library and offered to import it. "Great", I thought, "this will import all my art too". Alas, the import was not all it could've been. After importing my iTunes library I was greeted with one measly album art cover. The rest of my albums displayed an unwelcome although initially humorous monochrome image of a llama. This makes transferring album art from iTunes elsewhere difficult. So: time to break out the big guns. I installed bliss, pointed it at the same music library, and told it to manage my album art. A few seconds later, bliss had found and installed all four of the mainstream releases, fully automatically, and had found the correct art for the remaining two releases, for which it asked for my confirmation to install (presumably it found them on Google and so wasn't totally sure they were correct).